Worried about exposing the real dimensions of the flood and the destructive role of the IRGC and government agencies, the clerical regime tries to prevent the expression of people’s anger and further revelations by threats and suppression. 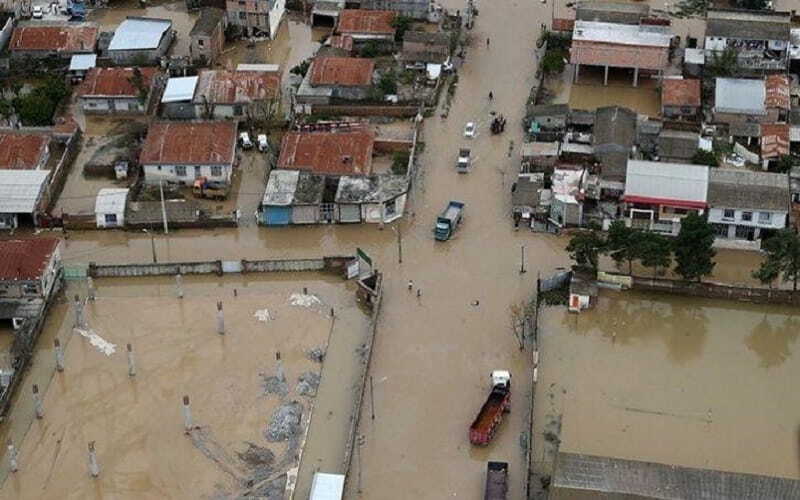 Rouhani’s Interior Minister Rahmani Fazli said: “… I have told the judicial authorities and the prosecutor that the agents who try to magnify the problems of the flooded areas by lying and by publishing false news should be dealt with in a manner that would ensure the general and psychological calm of the victims. “(IRNA news agency March 28). The criminal mullah Mohammad Jafar Montazeri, the Attorney General of the mullahs, called the spread of rumors in cyberspace as a disruption to the security of the country and said: “By identifying the sources of fake news, they will be dealt with accordingly and coordination has been made between the Attorney General of the country and the Ministry of Interior and Police “(IRNA news agency March 28). Javad Javidnia, the Assistant Attorney General for Cyberspace, called on FATA Police to “monitor fake reports, deal with producers and publishers of fake news… Since the fake rumor makers are also complicit in the crime” (IRNA News Agency March 28). IRGC Colonel Fakhreddin Tavakoli, head of the FATA police in Qazvin province, said “the rumor makers only intend to create general anxiety and fear among the people.” At the end, Tavakoli called on all citizens to inform them through the FATA police website if they saw suspected cases. Meanwhile, in many parts of the country, the IRGC is preventing the people from helping the flood victims to prevent the disclosure of facts.